If you’re not vegan yourself, you might be wondering what makes a holiday specifically “vegan”? Vegan tourism is on the rise, so here’s a list of top holiday spots where being vegan is incredibly easy – and welcomed! Bali has long been considered a vegan paradise. Every year it hosts the Bali Vegan Festival, which draws droves of plant-based enthusiasts to enjoy its delicious food, amazing scenery and crystal clear waters. You can check out the world’s first vegan cinema Paradiso in the town of Ubud; learn to surf along the black sand beaches of Canggu; hike up a volcano early in the morning to watch the sunrise; or stroll along the picturesque rice terraces in Tegallalang while sipping on a fresh coconut. Bali is the only Indonesian island that is Hindu, so vegetarianism is widespread and veganism is very common among the yogis and scuba divers who frequent the island. You can even stay in eco-lodges such as Swasti Eco Cottages or experience a full-on luxury vegan wellness retreat at Fivelements. Once you take a trip to Bali, you will never want to leave! It is estimated that between 7 per cent and 11 per cent of people in Britain now regard themselves as vegan. Although British food has never had a good reputation, spend a few days in London, and you’ll be blown away by what it has to offer. Enjoy vegan traditional British pub food in the Horse and Coaches, and check out their “secret tea room” upstairs! 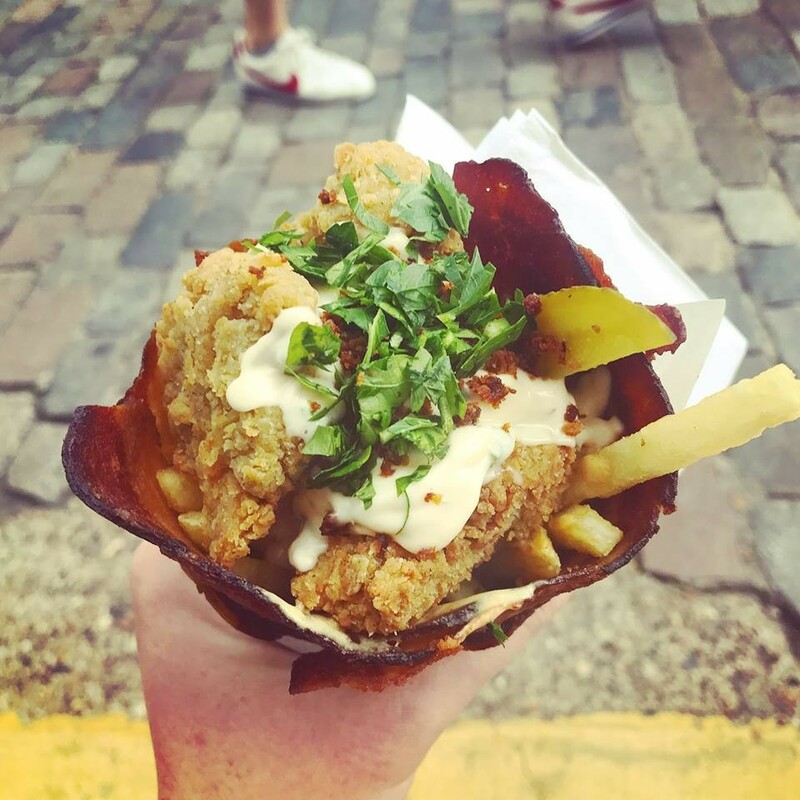 Visit the all-veggie Pret-a-Manger in Soho; spend a few hours enjoying the lovely nature of Kew Gardens; or visit the Hackney Downs vegan market over the weekend to indulge in a some truly amazing dishes – fried “chicken” in a “bacon” cone, anyone? You can also have a luxury vegan spa experience at the Lush Spa, or stay at vegan-friendly hotels scattered around the city. If you are travelling on a budget, all the major supermarket chains have their own vegan line of products, which are great for cooking your own delicious meals. 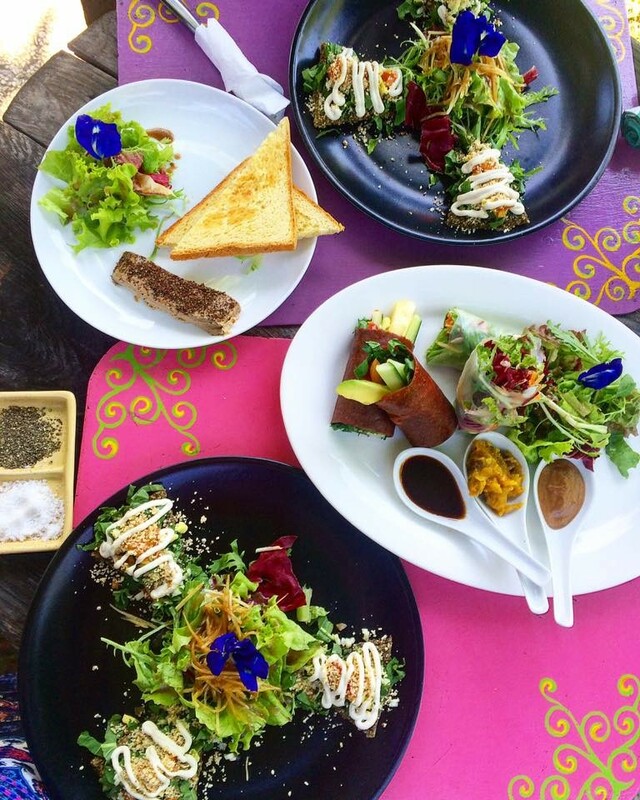 Some of the healthy vegan food served at Free Bird Cafe in Chiang Mai. Most people think of palm trees, beaches and parties when they think of Thailand, but the north of the country is particularly peaceful and attractive. The city of Chiang Mai is close to Elephant Nature Park, Thailand’s first legitimate elephant sanctuary. You can volunteer here for one day or for several weeks and spend time feeding, walking and bathing rescued elephants, while enjoying delicious vegan meals in the middle of the jungle. Chiang Mai itself has a lot to offer in terms of temples, night markets and traditional Thai massages. However, don’t forget about the food. It has an abundance of delicious, fully-vegan restaurants. Don’t miss Free Bird Café, a social enterprise that serves not only scrumptious and healthy superfood-rich dishes, but also supports the Thai Freedom House. You can buy handmade crafts made by refugee children and take a browse items in Free Bird Café’s thrift shop, where proceeds go back to the Burmese refugee community in Thailand. You probably wouldn’t think of Portugal as a particularly vegan-friendly country. 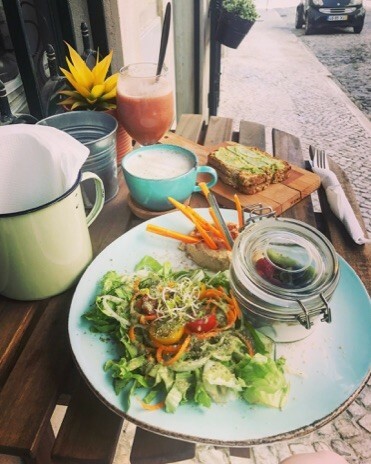 Although the Portuguese traditionally eat a lot of fish, Lisbon is an incredible city to visit, which also has a lot of vegan offerings. Known as “The City of Seven Hills”, you can walk through this hilly city and enjoy its beautiful and colourful architecture while working off all the calories you gained from the many amazing vegan restaurants. 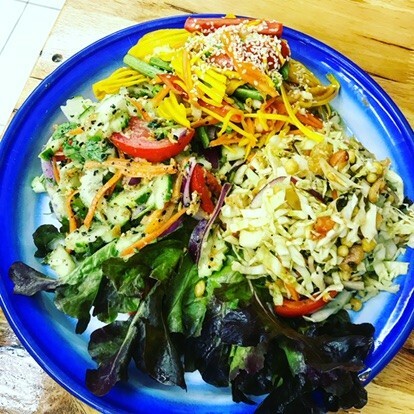 Don’t miss Aloha Café for an extensive vegan brunch; Foodprintz Café for yoga, vegan workshops and delicious Gopal cheese; and Jardim de Cerejas for a very affordable all-you-can-eat vegan buffet. If you love to shop when on holiday Portugal is also home to Nae Vegan shoes, a fully-vegan high quality shoe company that uses pineapple leaf leather and recycled plastics in its shoes. You can find its products at Sapato Verde, where you can pick up some vegan clothes, cosmetics or groceries, too. Portland has consistently been named as one of the top vegan cities in the world – for good reason. Vegan menus are everywhere, and you can enjoy drool-worthy comfort foods such as vegan macaroni and cheese, barbecue ribs, and burgers from its many vegan food trucks; gourmet dining at fully-vegan upmarket eateries; and vegan cheese shops, doughnut shops, craft beer bars, tiki bars and tattoo parlours. Portland is also a short drive from the coast, mountain hiking and animal sanctuaries you can visit. Visit Homegrown Smoker for comfort food, Doe Donuts for sweet treats, and Blossoming Lotus for organic fusion dishes. Don’t miss the Portland Vegan Beer & Food Festival if you’re visiting in the summer. In the autumn visit Portland VegFest to try new vegan brands and hear a panel of inspirational speakers. Flourish is a good place to visit to find healthy vegan food in Taipei. Voted by PETA (People for the Ethical Treatment of Animals) as the most vegan-friendly city in Asia in 2016, Taipei has been a long-standing vegan destination. With a heavy Buddhist influence, veganism has become widespread here with a huge variety of fully-vegan restaurants from which to choose. Try the home-made mozzarella at Ooh Cha Cha, tasty desserts at Vegan Heaven or the healthy fare at Flourish. You can visit temples, navigating your way along numerous hiking trails or take a short train ride to the coast to witness breathtaking scenery. Not far from the city lies Taroko National Park, a wonderful retreat for nature lovers – the highlight is the picturesque gorge. Taiwan itself is also perfect for a cycling holiday. Many people choose to start their journey in Taipei and cycle around the bicycle-friendly island while enjoying the incredible views. Want to taste the best vegan udon in Taipei? Vegan travel is becoming increasingly popular and accessible all around the world. Get out there and see some amazing sights, eat delicious food, meet like-minded people and engage in eco-tourism. You will be creating only not a memorable experience for yourself, but also having a positive impact on the planet. By Kayla Hill. This article originally appeared on STYLE under the the title ‘3 Hong Kong vegan entrepreneurs who are shaking up the plant-based scene.’ All images & content courtesy of SCMP, except lead photo courtesy of Impossible Foods.